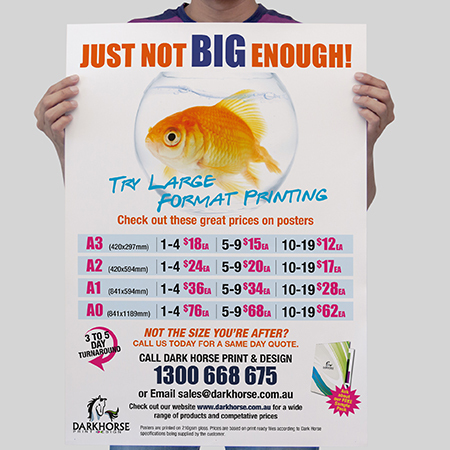 Depending on the quantity of Posters ordered, the average expected turn-around time for Posters is approximately 3-5 business days from proof approval. Once padded together, the glue needs to dry overnight. If a large quantity has been ordered, this may extend the turn-around time.